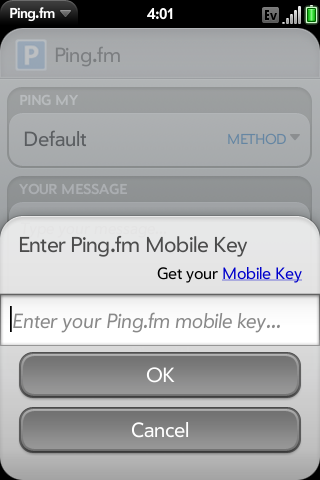 A simple & free client for the popular Ping.fm service. 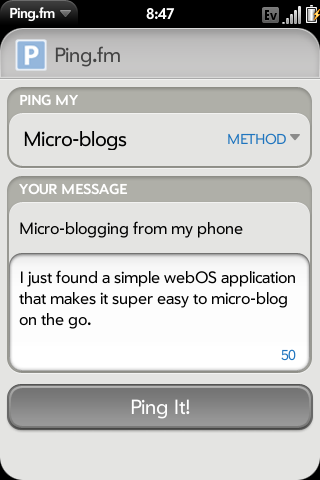 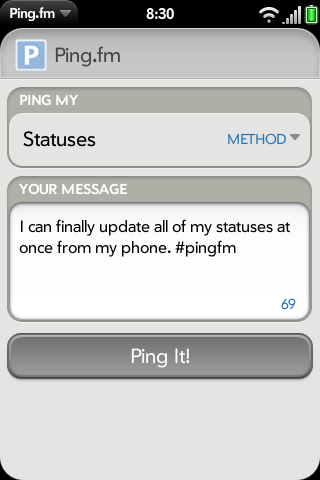 Ping.fm is a free service that makes updating your social networks a snap. 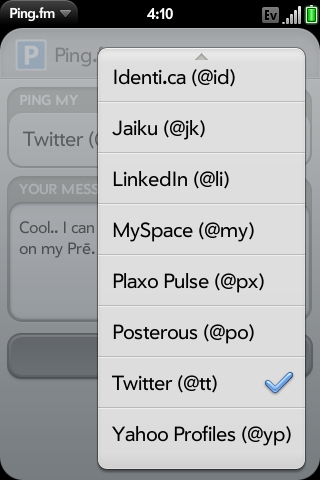 Post from anywhere, to anywhere.